Make the most of your makeup with the Real Techniques Expert Blending Duo. 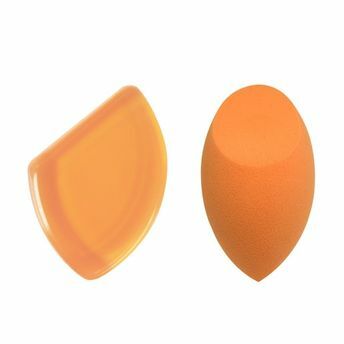 Use the foundation applicator to easily transfer foundation on to your skin, then use the contoured edges of the blending sponge to cover larger areas without missing smaller details. These versatile tools will give you a consistent and even makeup application and are sure to be staples you'll reach for every day. Made from a smooth, flexible material for easy application. Miracle complexion sponge features a latex-free design.